If you are like most outdoor and nature lovers camping comes natural to you and your family. 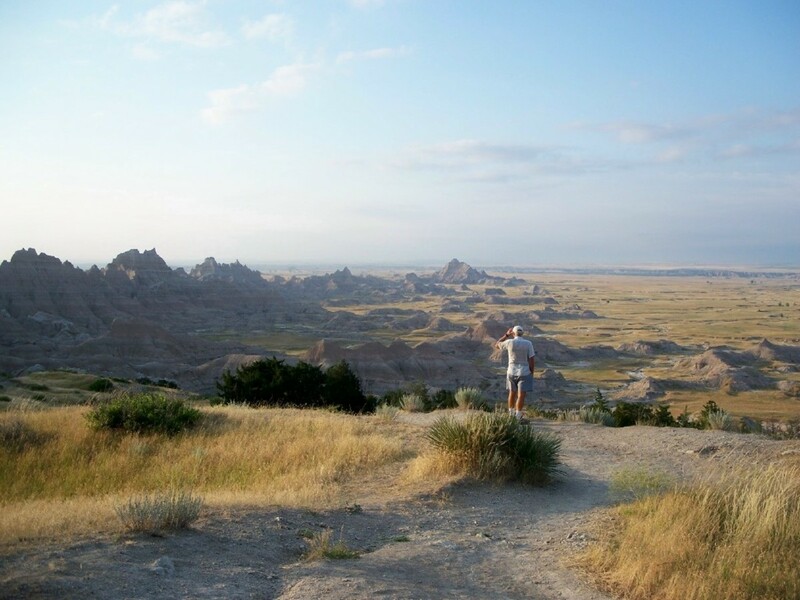 There’s just something special about visiting our many state parks scattered across the country. Aside from the money saved on motel rooms and eating out every meal, camping instills certain values and manners to you and your family. Besides this you are often surrounded by beautiful scenery without large tourist crowds. But using a tent for protection from the elements can be quite a lot of trouble considering the amount of camping equipment needed for a successful excursion. Besides the tent there are cooking utensils, bedding, ice chests, food storage boxes, and a myriad of other small necessities to be loaded and unloaded both going and coming. If you are not a camping purist, one who frowns on using a camper instead of a tent, there is a much easier and less stressful way to go. Not to mention a huge difference in comfort and safety. It is simply amazing how a small tow behind camper can make so much difference in a camping trip. Or a large one for that matter, but for the purpose of this article we shall discuss starting out with a smaller camping trailer. 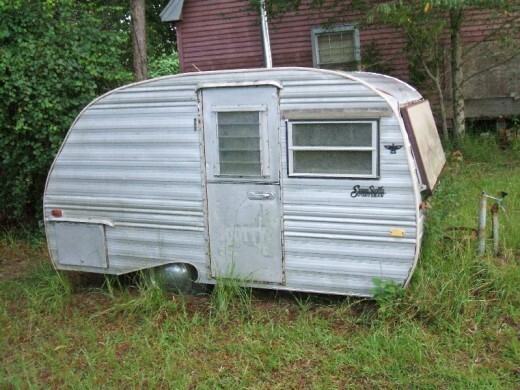 After a satisfying, but sometimes uncomfortably warm and wet, weekend at a Florida campground, my wife and I decided to buy a small camper to avoid future discomfort. We wanted something small, and therefore easy to tow and store when not in use. As luck would have it, my neighbor’s wife worked for a man with a 1959 Serro Scotty which had recently been updated with new appliances, reupholstered, repainted, and had new electrical outlets and plumbing. It was barely tall enough to stand up in but would sleep three people which was perfect for my wife, my small son, and myself. We all had a great time equipping the little beauty with items needed for our first excursion back to the same Florida campground a month later. To my wife it was essentially a doll house to furnish with silverware and dishes plus other --- if not essential--- homey touches to personalize our new toy. It was the same for me and my small son. We found places to store our fishing gear and any tools we might need while away. 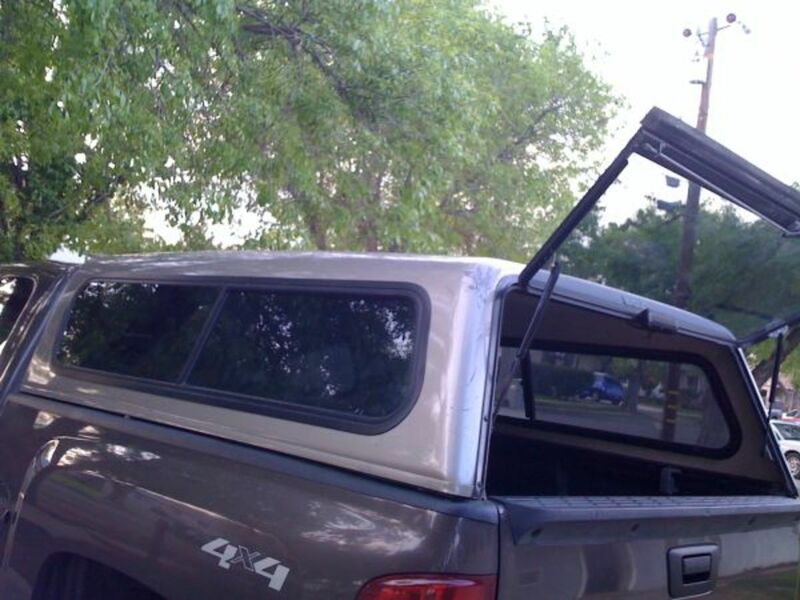 We installed a small color television and removable antennae for the ultimate camping luxury. Our camping destination consisted of a three hour commute and towing the Scotty was easier than expected. It trailed true and seemed to take little power from my small truck. After checking in and finding our assigned campsite it took only twenty minutes to unhook the camper, plug in the electrical and plumbing connections, and stick on the TV antennae. The little 5000 BTU window AC had the interior chilled in a matter of minutes. Normally it would take at least an hour of hard work to set up the tent and unload and store the essentials, after which we were all exhausted and sweaty. This seemed too easy, there had to be a drawback somewhere. But there wasn’t. That afternoon a cold front moved in and it rained for much of the weekend. We watched as tent campers eventually loaded up their soggy tents and gear into their vehicles and deserted the campground. Thunder and lightening, wind and rain, we were impervious to these conditions which would normally ruin a camping trip. We even used the tiny stove and fridge to prepare some of out meals. We slept soundly without a worry of sandy, damp bedding or insects. I had often wondered why many used campers instead of tents while camping. Now I understand completely the advantages of doing so. No matter which way the camper trailer is pointing it seems familiar and comfortable. Since you are used to the bed in the camper trailer it is like sleeping at home. All of the needed items are to be found in the drawers and cabinets inside the camper trailer and are there the next time you go camping. You wonder how you ever got along with just a tent. 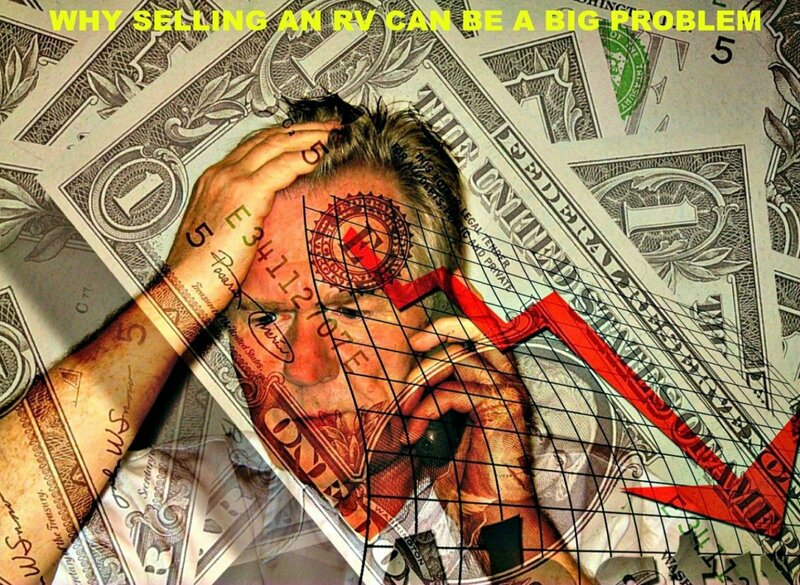 Another great thing about small tow-behind campers is their price range. 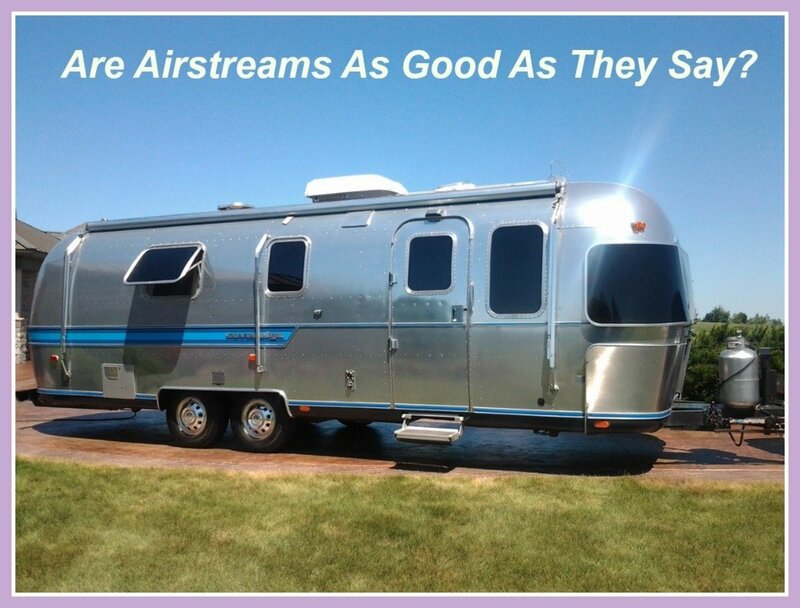 Can’t afford a new travel trailer? Not to worry, there are plenty of fixer-uppers which, after a little work and updating, can be made like new without much problem. As long as the exterior is basically sound the rest of the camper can be repaired. Often the materials needed for repair are odds and ends of lumber you already have. If not, how much plywood does it take to replace a small floor anyway? Do not be afraid to modify the interior to accept modern appliances. A small microwave can be built right into the cabinets. A small electric fridge can be bought for less than a hundred dollars to replace that bulky gas model. Closets can be moved or turned into more cabinet space by cutting the height and adding a bar top. Any modern convenience can be adapted in most cases. Many areas have clubs just for small campers. Other clubs are for the antique and retro campers which are more in demand as the years pass. Many of these are fun to use as well as a sound investment for the future. Finding rare parts for these wonderful old beauties becomes a treasure hunt for some collectors. The old fifties campers with fins and elaborate lights are in great demand now as collectors prizes. 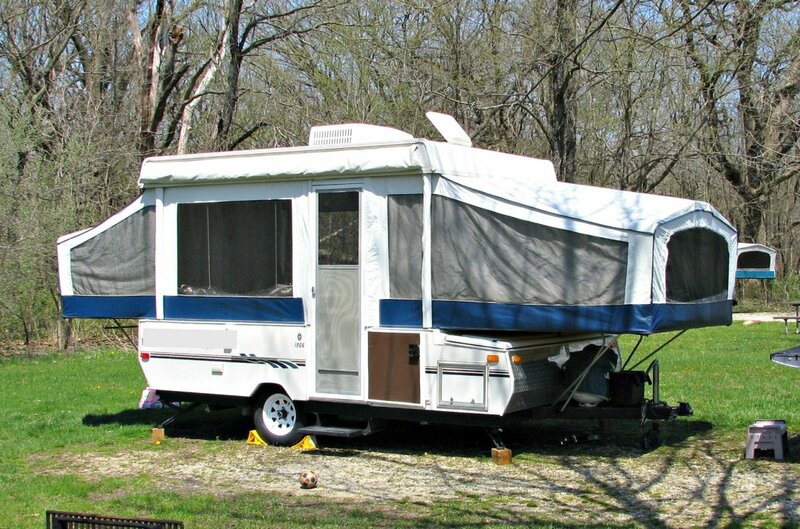 There seems to be no shortage in smaller used tow-behind camper trailers but be sure to give them the once over to be sure of the soundness of the frame. Don’t forget the once-under either, the floor supports need to be in good shape or easily repairable by you. Inspect the metal frame for weakness and corrosion. especially if the unit has been stored near the coast or any salt water. The metal roof, body, windows and doors can all be replaced or repainted. 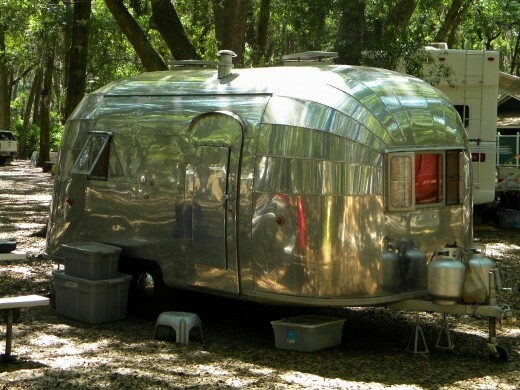 Extra outlets and cable hook-ups can be added for the modern state and public campground amenities. A modern paint scheme can make all the difference in the way the camper appears. New carpet or flooring can help with heat and cooling efficiency as well as cosmetic appearance. Try out your artistic ability, you can always redo it. If you are used to tent camping be prepared for an enjoyable first trip with your little ’home on wheels.” Once you are settled in you will wonder why it took you so long to make the transition from tent to camper. But don’t worry about it, many of us are just as hardheaded as you are. Camp long and camp often. James, I don't understand your question or problem. What's a "boler"? Tom, if you can't find it online then I'm afraid you're doomed. 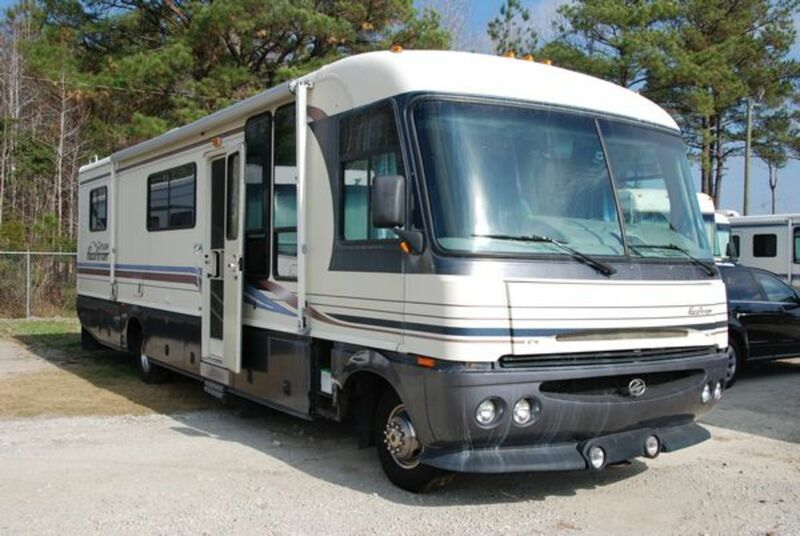 Try searching for "Classic RV sites" in hopes there's someone who has the same model. Where can I find biagram for the inside of a 1961 24ft. Holiday Avion? Sylvia, check Home Depot and/or Lowes.They have several sizes to choose from. Also, Walmart has a few. You mentioned a small electric refrigerator for around $ 100. can you tell me where to shop for one ? Mine is 27"X20.5" .thanks. Rich, haven't seen such a mode before. No ideas on the wheels and tires. 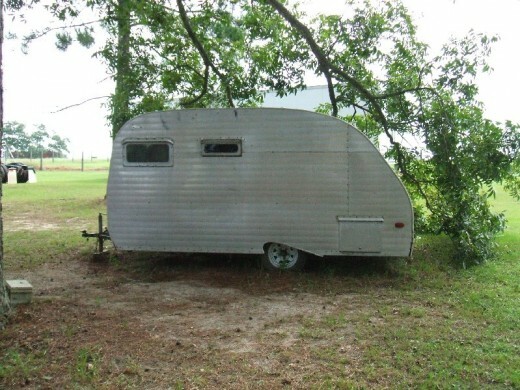 Randy, have you ever seen a Sprite Cadet trailer(1961)English make, needs tires and originally came with 10" wheels, I cannot find tires for it could go to 12" but the rims were reversed on the original wheels, you can install them(12") backwards but air valve end up on the inside. Any ideas? thks!! Do you have any FB groups you suggest small camper owners follow? my son and daughter in law bought a silver raider but nothing inside. Where can you buy the refrigerator ? I like camping but I agree this sounds like fun. I want to help them get it ready. Thank you for making me smarter as I start the hunt for my dream camper. Someday I might get lucky and fine one. Great website information very easy to read and understand. Thank you. 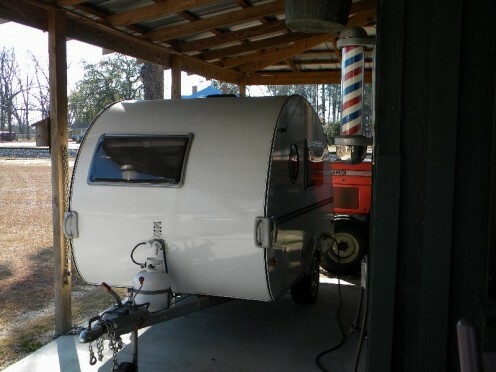 I have been doing lots of research on small trailers, and if someone wanted a brand new one, the R-Pods are sort of like a teardrop. At least they are the same size but with tons of amenities. About the same size as a trailer tent I had about 25 years ago. I would rellay recommend a trailer tent. They are very easy to trail behind a car none of the bulkiness and weight of a caravan. No problem with wind while you are trailing them. They take some time put put up but no more than a caravan, if you are going to open the awning. These trailers are so light I would say its peecrft for being pulled by a large motorcycle but from what I have found they are not sold in states. They are not very cheap price wise but seem to better constructed then others of similar size and this even has a built in kitchen. I'm sure a person with the extra money to spare could purchase one and have it delivered here to the states. I used to do a fair bit of tent camping when I was younger (your age) but now I'm not able to lug all of my wife's "necessities" too far into the wilderness. LOL! 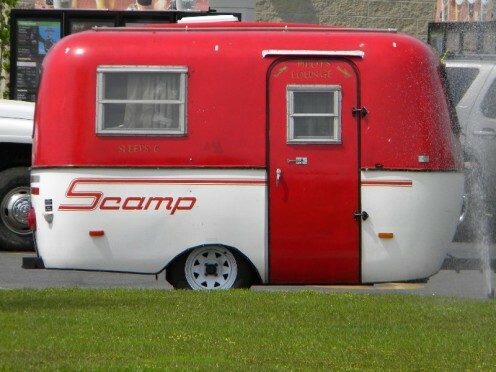 I have two small camper trailers, Sharpturn. One, a 1959 Serro Scotty, is now a collectors item and the other is a 70's model which I have totally updated and remodeled. 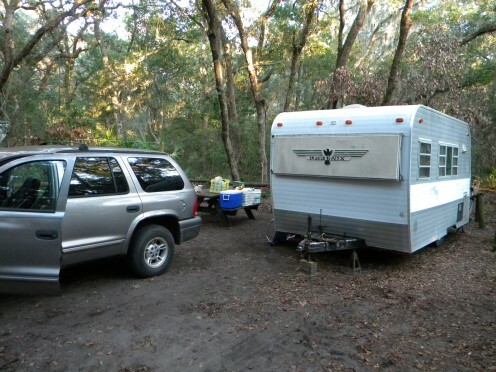 The small camper trailers are easy to store, use, and set up. 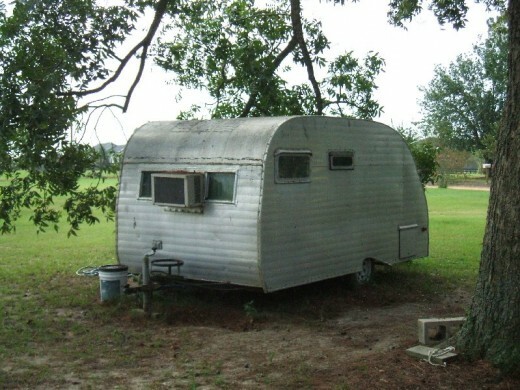 They are also economical to tow and furnish. A great choice for weekend campers. You know this is something I had never thought of. I love the outdoors and camping and always thought I could never afford a campervan but reading this Hub has changed that. After all, it is supposed to be an enjoyable, as well as, relaxing experience. Thanks for visiting, Angelique! Great info. I'm too old for camping in a tent now - lol. Thumbs up! Thanks Lyrics, snakes are probably more afraid than you are when you encounter them.